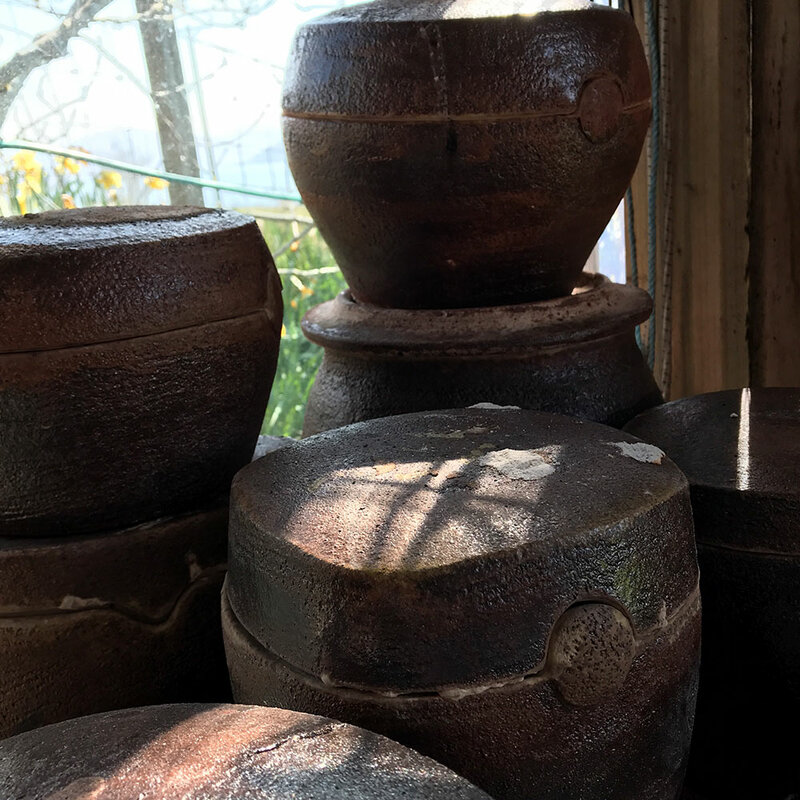 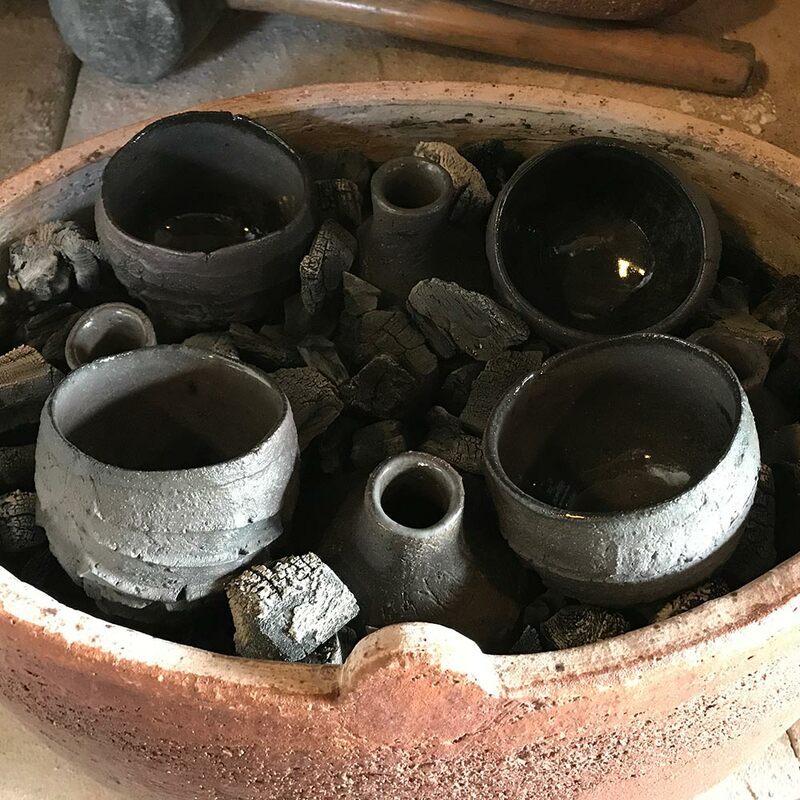 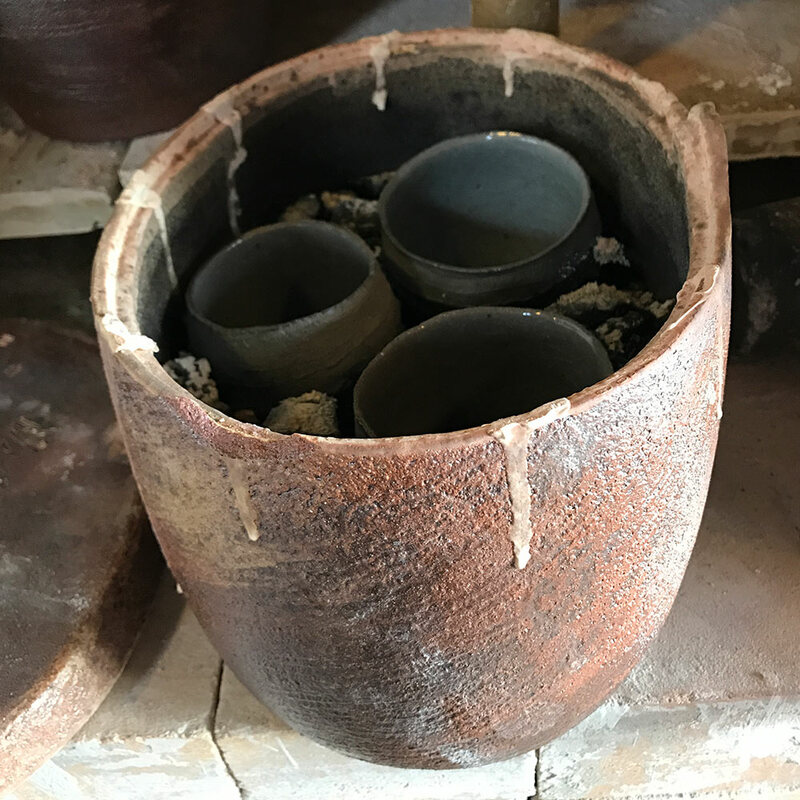 Pots are placed in lidded containers, called saggars, which I fill with charcoal, peat, ash, and other combustibles. 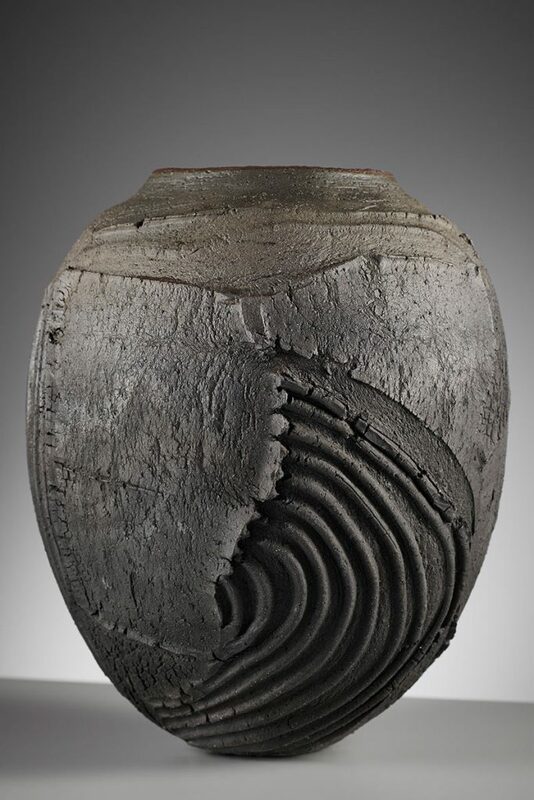 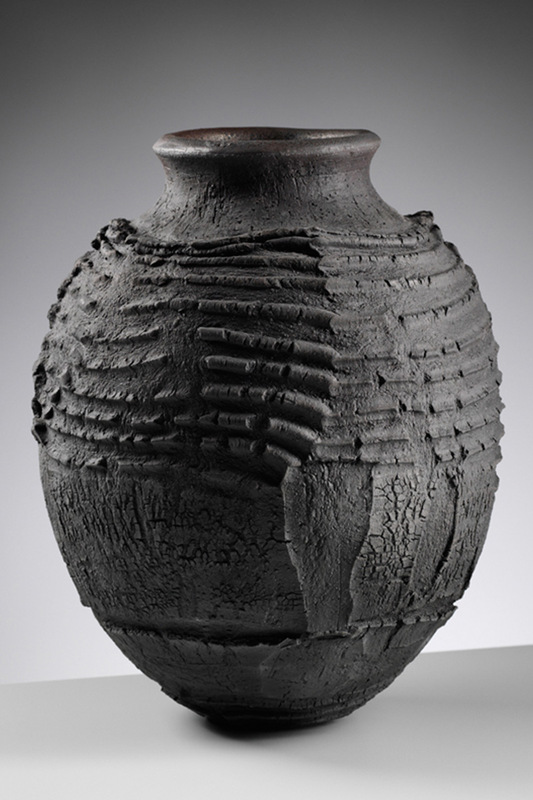 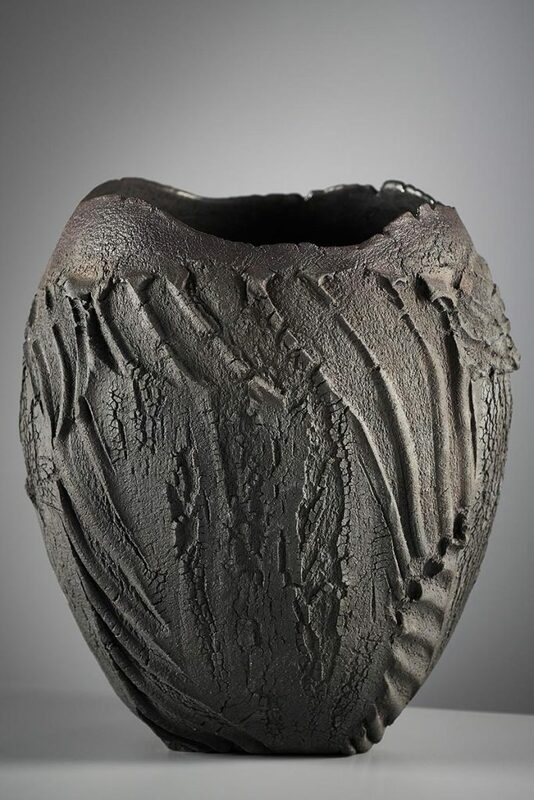 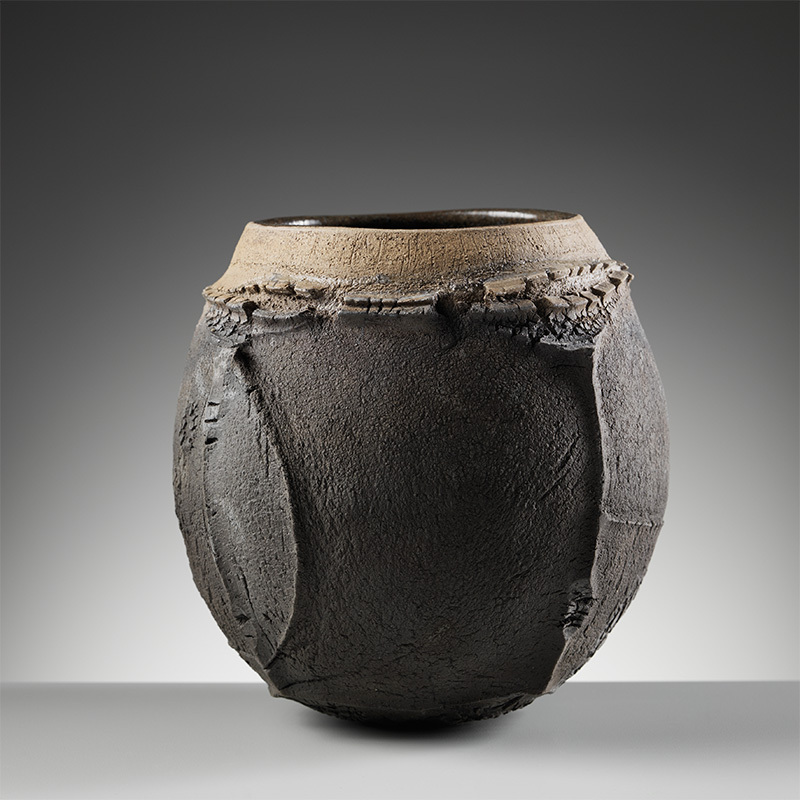 This produces an oxygen starved atmosphere during firing which has profound effects upon the clay and any glazes used. 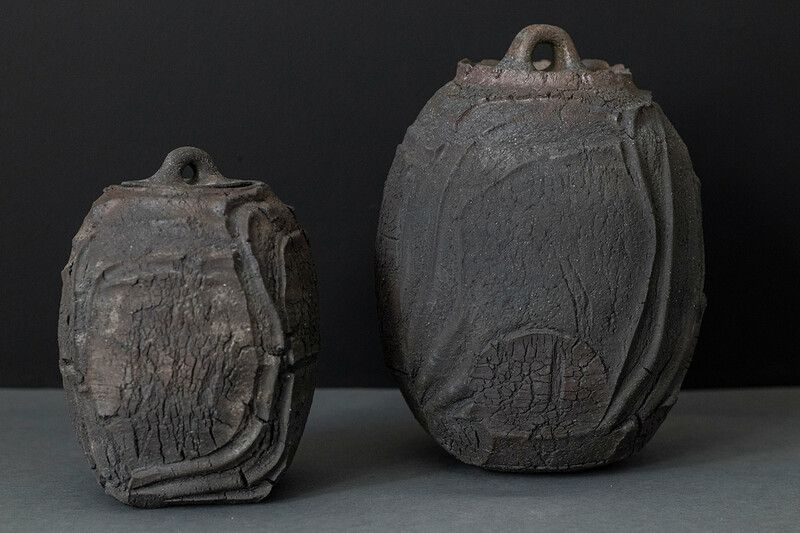 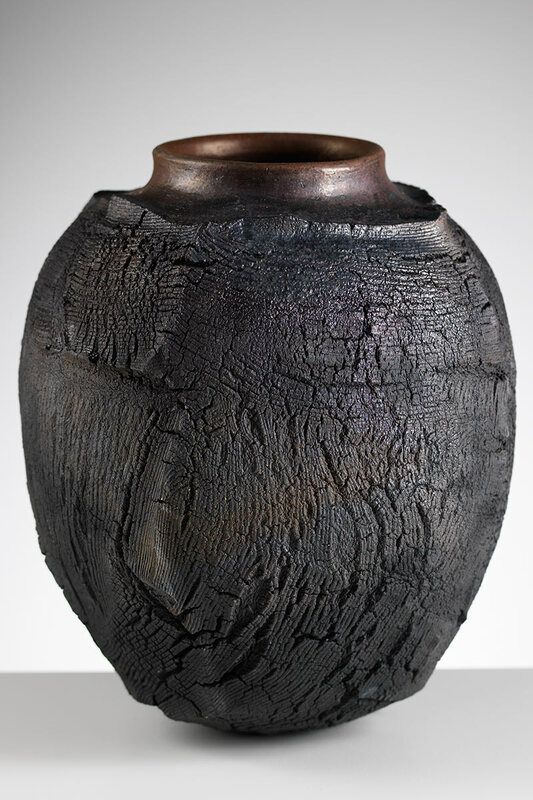 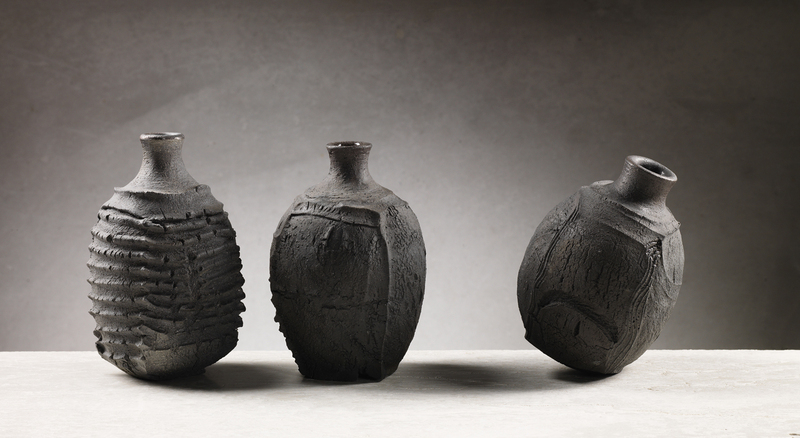 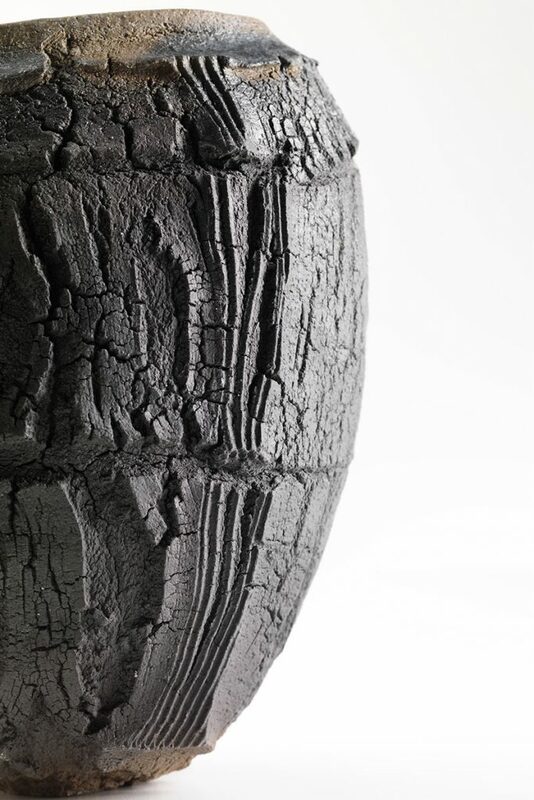 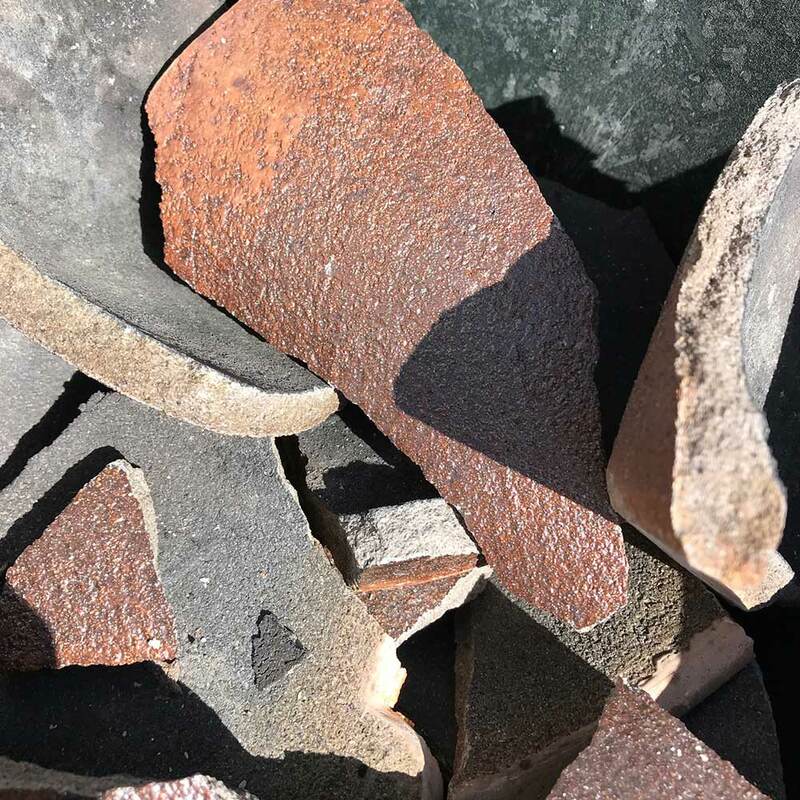 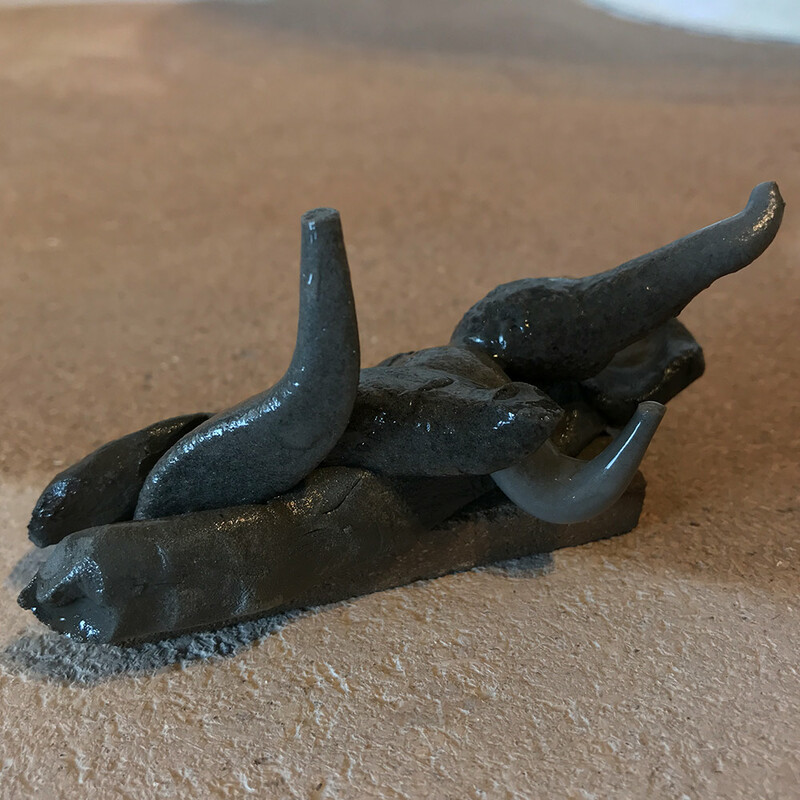 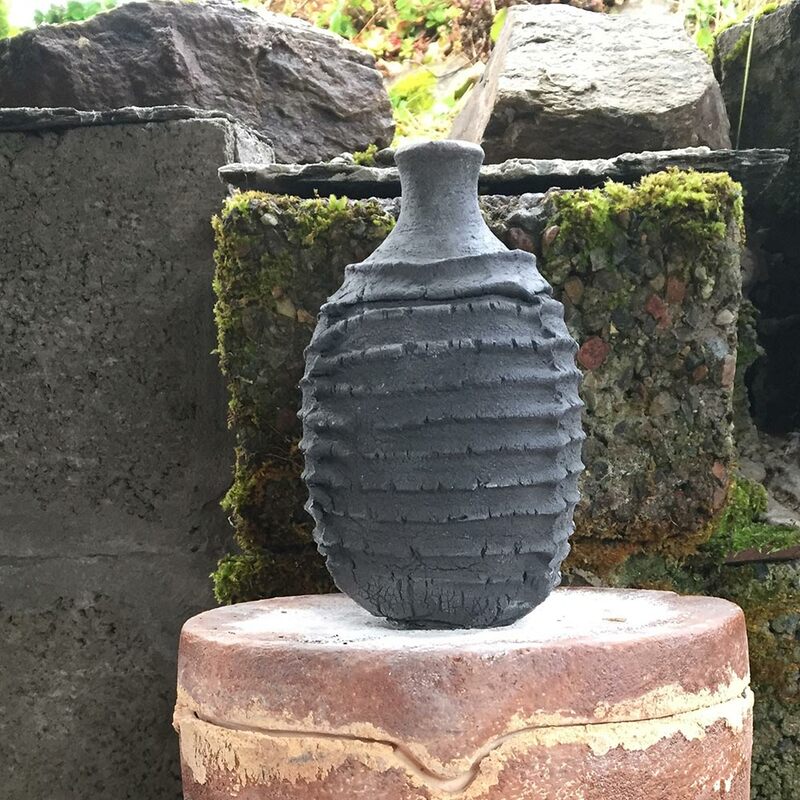 Iron oxide in a glaze can be reduced to elemental iron, leading, over time to rust spots appearing on a glaze surface – reminding me of the continuing process of change.